Nu U Nutrition CoQ10 Review - Is It A Wise Purchase? The following is a product review of Nu U Nutrition CoQ10 100mg. This supplement is supposed to helps generate energy in your cells, slow the effects of aging, protect cognitive health, improve heart health and metabolic functions. 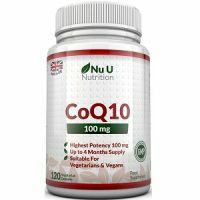 What’s in Nu U Nutrition CoQ10? 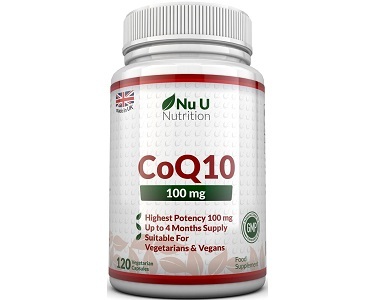 The main ingredient in Nu U Nutrition CoQ10 is Coenzyme Q10. 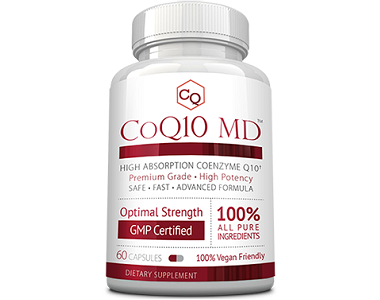 The amount of CoQ10 is only 100mg well below the recommended amount of 250mg that many competing brands contain. The inactive ingredients are Maltodextrin, Magnesium Stearate, Silicon Dioxide and Hydroxy Propyl Methyl Cellulose. Missing from the product list is the key ingredient BioPerine which is known for assisting absorption and commonly found in the leading brands of CoQ10. How Do You Use Nu U Nutrition CoQ10? Take 1 capsule per day with food and water. You should not exceed the recommended dosage. Speak to a health expert to determine if you may use this product before using especially if pregnant, nursing, or using other medications. The website doesn’t say what time of day to take the pill. On the manufacturer’s website one 120 capsule bottle costs $25.54 and on Amazon it is $29.99. On the company website, new customers can get a $7 discount if signing up for the newsletter. The company website offers free shipping within the UK when spending over $28. For US customers, look for the product on Amazon. On the manufacturer’s website, there is a 60 day return policy for unopened bottles of pills. To be eligible for a return, your item must be unused and in the same condition that you received it. It must also be in the original packaging and mailed to the UK address provided on the company website. You are responsible for shipping costs. We liked that the product came in a 120 pill format and supplies enough pills to last 4 months making this a very good value for money. The pills are in a softgel format and contain no animal products, and are suitable for vegetarians. However we were disappointed by a few things. Missing from the Amazon site was any product reviews. There were none whatsoever. This could be because the product is based mostly in the UK and we are not sure how prevalent the product is in the US. We were disappointed the ingredients list included as the first ingredient a filler maltodextrin. We look for products that are all natural and pure, and contain no fillers. Also lacking from the product ingredient list is the key ingredient BioPerine which is known for assisting absorption and commonly found in the leading brands of CoQ10. The manufacturer states that you take one pill daily, but fails to explain at what time of day to take the pill. There was no bulk purchase discounts available. On the official site, the manufacturer states a 60-day refund period, but this specifics are confusing because the policy is really meant for UK residents only. We recommend that you only purchase a CoQ10 that contains Bioperine and a high enough dose of CoQ10 at 250mg per day. Also critical is a reliable return policy that stands behind its wording and protects you the consumer.